Somehow or another when life gets turned upside and you can’t see your way clearly, … BUT GOD! Hurts, troubles, and turmoil knock on your door and you didn’t think that you would make it, … BUT GOD! Love, loss, and disappointment with people left your heart broken and in shattered pieces, … BUT GOD! God is our answer to everything that life can throw at us. God is our solution for every attack of the enemy. God is our peace when chaos seems to invade every crevice of our being. No matter what you face today, trust God to compassionately love and care for you and see you through to the other side because life can look a little crazy sometimes, … BUT GOD! 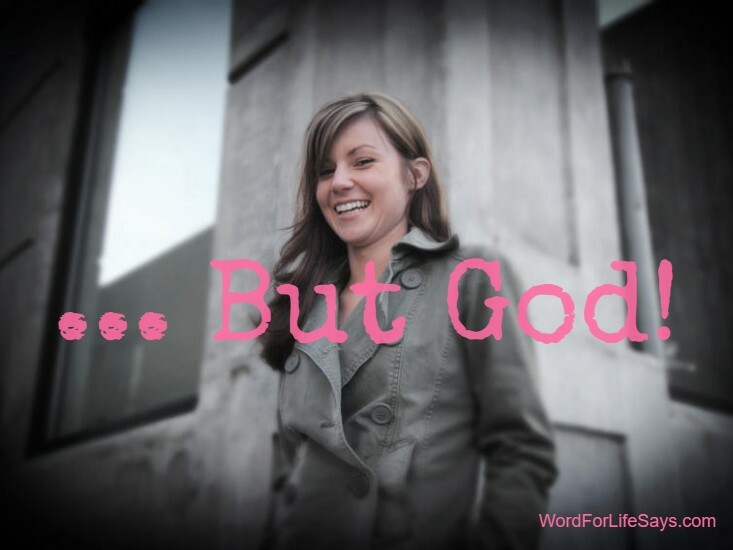 It’s because of, … but God!